One thing is certain: Fluffy is down to eight lives. Fluffy was found nearly frozen solid and buried in the snow by her owners amid bone-chilling temperatures of 8F (-13C) at their home in Kalispell, Montana back on Jan. 31. Praying for a miracle, they brought her to the local veterinary hospital, which this week updated the world about Fluffy’s near-death experience. “Amazing success and survival story from this week,” the Animal Clinic of Kalispell posted on Facebook. Fluffy arrived matted with snowballs and immobile. 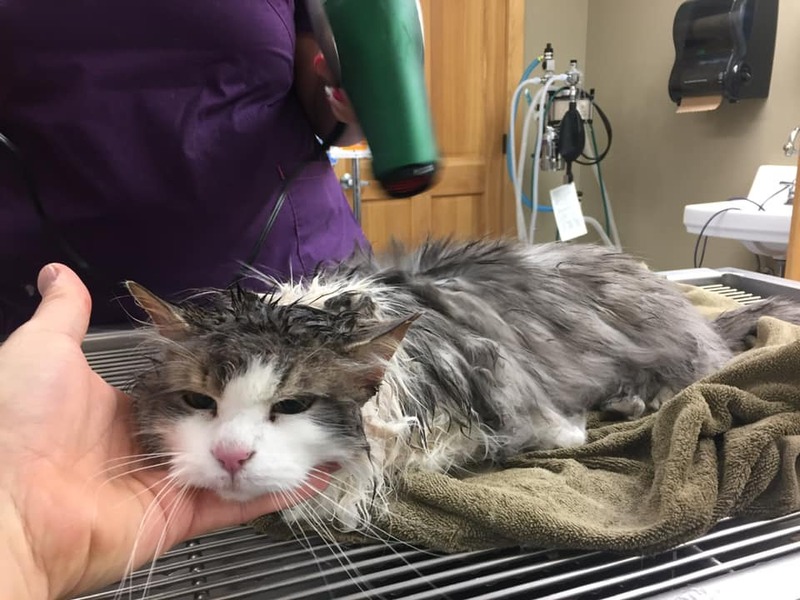 “Some clients found their injured cat buried in snow,” the vet clinic wrote. “They brought her to us essentially frozen and unresponsive. Vets went to work using warm blankets and water to slowly raise her body temperature. Dr. Jevon Clark, told ABC News that Fluffy’s temperature was so low it didn’t even register on a thermometer. Cats normally thrive at around 101 degrees, slightly warmer than humans. “After many hours she recovered and is now completely normal,” the clinic said. “Fluffy is amazing!” the clinic wrote. 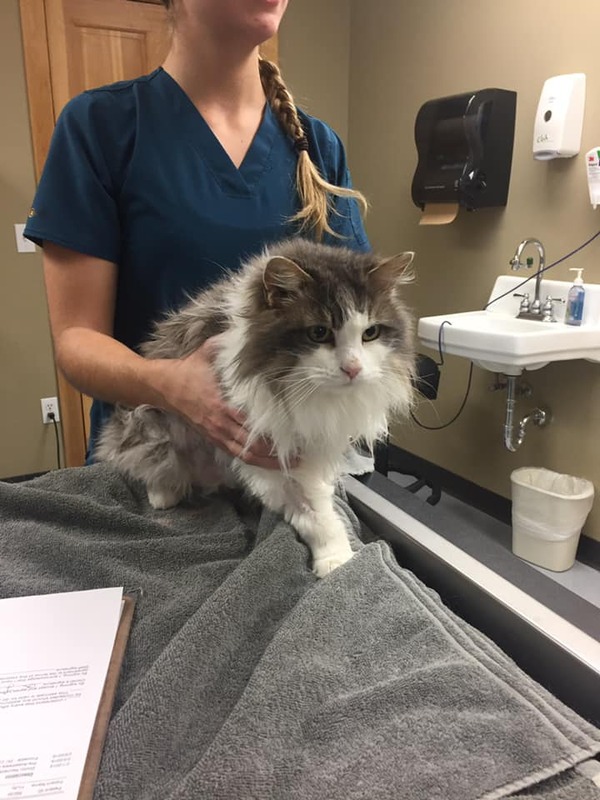 And while it’s not clear why Fluffy was outside in northwest Montana amid such cold, snowy weather, vets did discovery an injury, which may have been while she was stopped in her tracks. The owners, who haven’t been identified, have taken a lot of flak online for letting their cat outdoors. But the clinic credits them for finding her quickly and rushing her to care in time to save her life. She has fully recovered at home, where Fluffy is now an indoor cat.